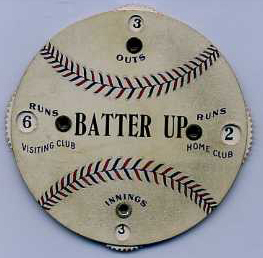 I not only chase after Baseball cards, but I also love snagging some oddball Baseball collectibles, as well. 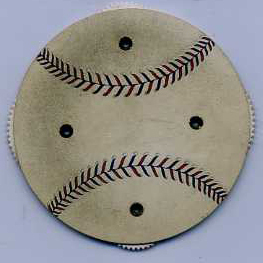 Recently, I came across the above early 20th Century circular Baseball scorer on eBay and decided to place a bid. I've already got a couple of similar scorers in my collection, so I figured this would look great in a wall display I have. According to the auction it dates to 1908, but I haven't a clue if that is accurate. Still, I love the look of it, and it has many of the qualities I look for in a piece purported to be this old. On the other hand, it could be an elaborate fake. Considering I took it home for just $16 delivered, I was willing to take the risk. If anyone happens to know more about it, please pass that information along. 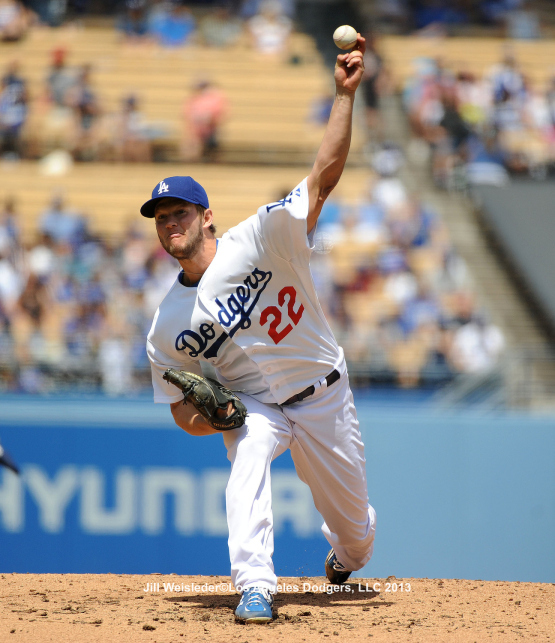 Clayton Kershaw is logging in another great year so far, pic via Jon SooHoo/LA Dodgers 2013. Youthful exuberance or a sign of something worse? Yasiel Puig was arrested in Tennessee for reckless driving, speeding and having no insurance, via Eric Stephen at True Blue LA. For now, I'll assume he is just young and stupid, but that could change if he finds himself on the wrong page of the newspaper again. Heck, I remember being 22, and I am pretty sure I was as dumb as a rock. Tom Hoffarth at Farther of the Wall tells us the results from the sale of Steve Garvey items in the SCP auction. According to the final results of a 71-item auction on SCP Auctions in Orange County that ended Saturday night, Garvey saw about $315,000 bid on the sale of some things you’d assume to be in the priceless item category, things stored away for decades but finally allowed to be bought by the public. Dodgers like potential in young pitcher Matt Magill, via Steve Dilbeck at the LA Times. "Hanley’s Return Imminent," via Scott Andes at Lasorda's Lair. The NHL Playoffs begin this week, and the Kings start it off on the road against the St. Louis Blues on Tuesday. See the first round schedule for the Kings, via Jon Rosen at LA Kings Insider. 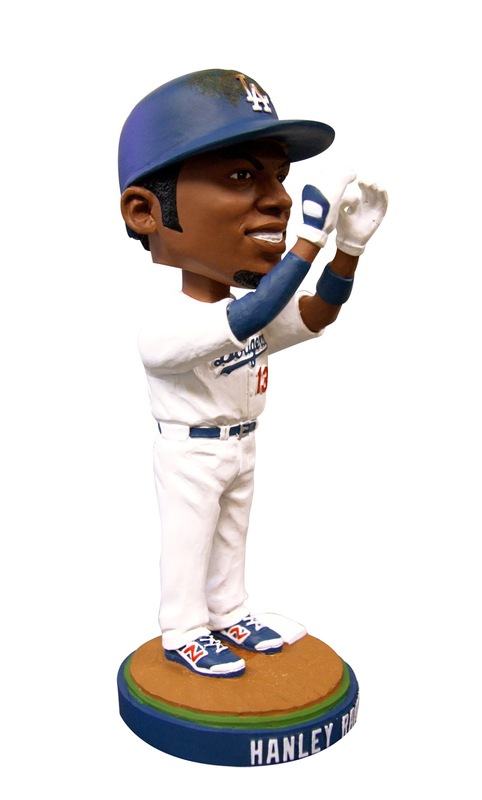 Just as a reminder, this Tuesday is Hanlet Ramirez bobblehead night at Dodger Stadium. 50,000 bobbleheads will be given out that night, and there is a small possibility that Hanley will be ready to play that evening. Howard Megdal at Sports on Earth writes a great feature piece on AJ Ellis. He served as Russell Martin's understudy in Single-A Vero Beach in 2004, playing just 40 games. Martin moved on in 2005; Ellis stayed in Vero, serving as backup to long-forgotten backstop Edwin Bellorin. And so his minor league career continued, with Ellis playing more than 90 games only once in any season, not due to injuries, but because the Dodgers wanted to see other players get more time. The idea that Ellis might develop into a major leaguer himself seemingly never occurred to them.